You CAN grow peonies in Southern California! I always ask problem questions so I felt the need to share a success. 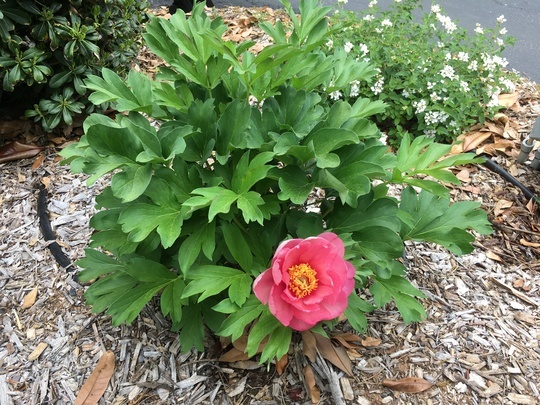 My Itoh ‘Keiko’ peony is in bloom! I am in zone 10a, inland San Diego. Pretty excited about it! Thanks for all your help over the years. That is so pretty and pleased it finally flowered for you. well done. I envy you. I wish I had such luck. San Diego is ideal. I'm in zone 6, which means I have to lift them out every fall. That's when I lose them. Lovely colour. I only seem to have luck with tree peonies.